Tomorrow, I will be fulfilling a dream that I have had for a long time. 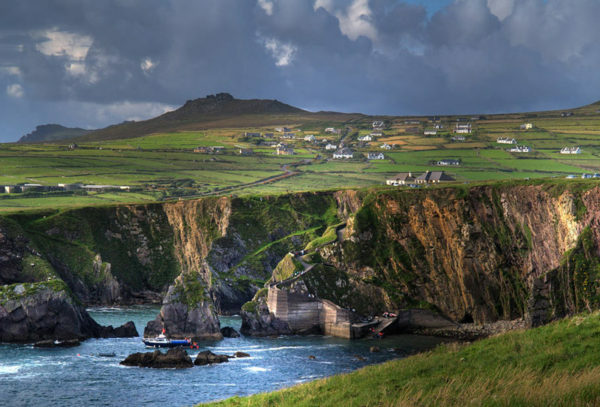 I am leaving for Ireland for three weeks. 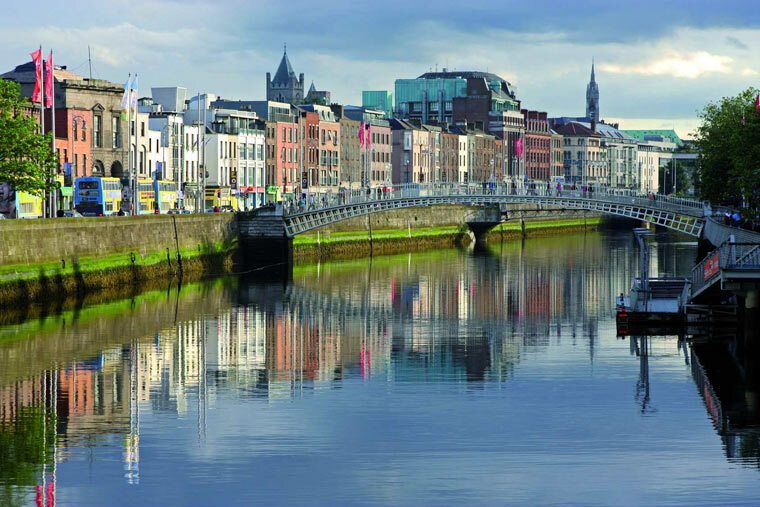 The trip will consist of four days in Dublin, five days driving around the south and then twelve days touring the west coast. I have had a provocative relationship with Ireland for many years. It has been calling to me through books, movies and stories for at least two decades. I am adopted and it was about that long ago that I found out that my father was Irish. I have put the trip on the back burner for a long time, but about six months ago I decided it was time to go. 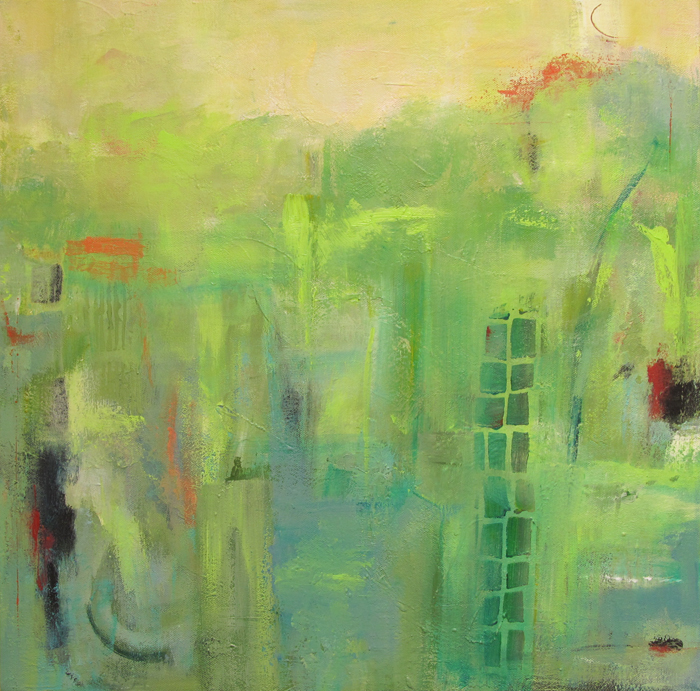 So this will be part soul journey for me, part just exploring a very interesting culture and being curious how the wet and green environment there will influence my painting. I really want to pay attention to ancient symbols and figures that I will see. I want to look at Irish art, the landscape, the sea and the cliffs. It will be a total contrast to New Mexico. 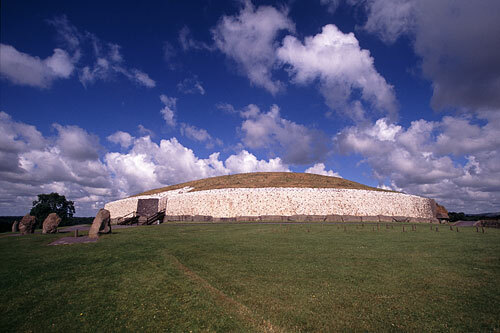 Newgrange, built about 4000 BC. I don’t plan to paint while I am there. I just want to absorb everything that is around me. And I want to be an adventurist. The photos on this page are some of the sites I will be visiting. This will be my last post until I get back in June. I will let you know how it went. 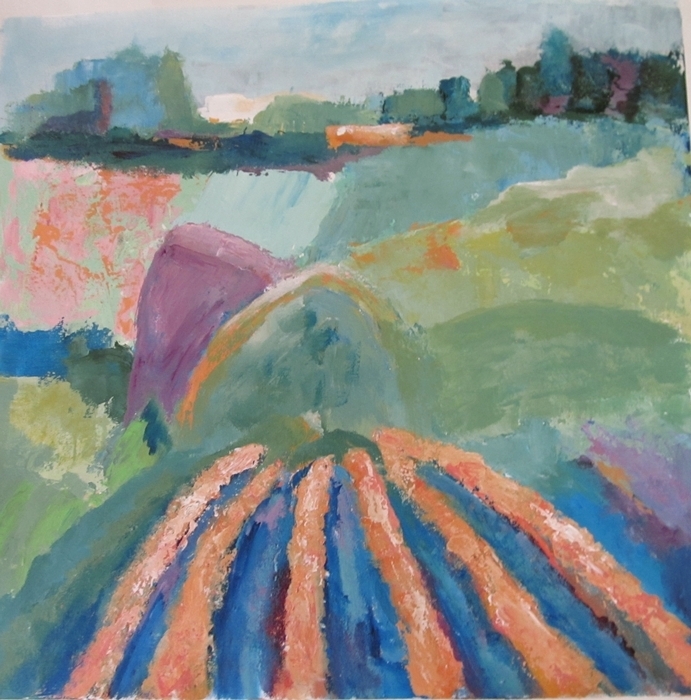 This entry was posted in Painting Retreats and Workshops and tagged Dingle, Dublin, Ireland, Newgrange, photography, Tim Anderson on May 8, 2016 by Ann Hart Marquis. When I am in the middle of painting a series, I sometimes need to use my imagination in another way. I need a break, a creative transition. Doing something completely different takes me away from my current work and becomes a breather from the ideas that I have been working on for weeks. 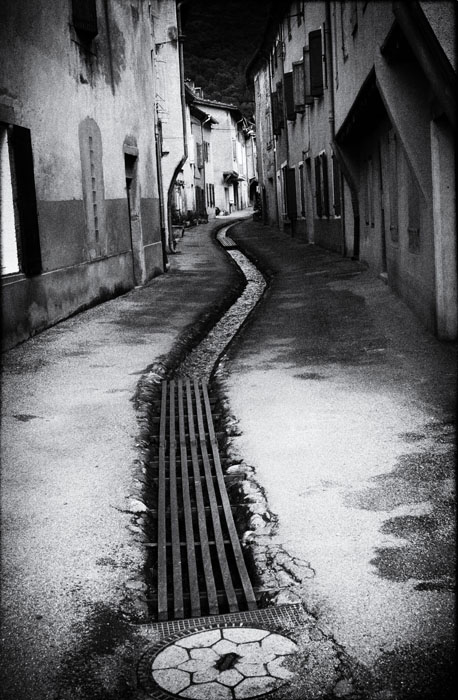 I took a break recently and began looking at photographs that I had taken in France over the years. Maybe I could paint one of them or abstract them in some way. 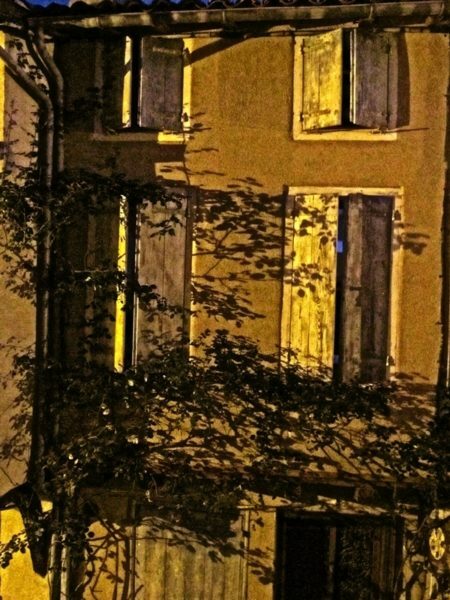 One evening in Soréze, I took some photos of the house across the street that I thought looked intriguing. 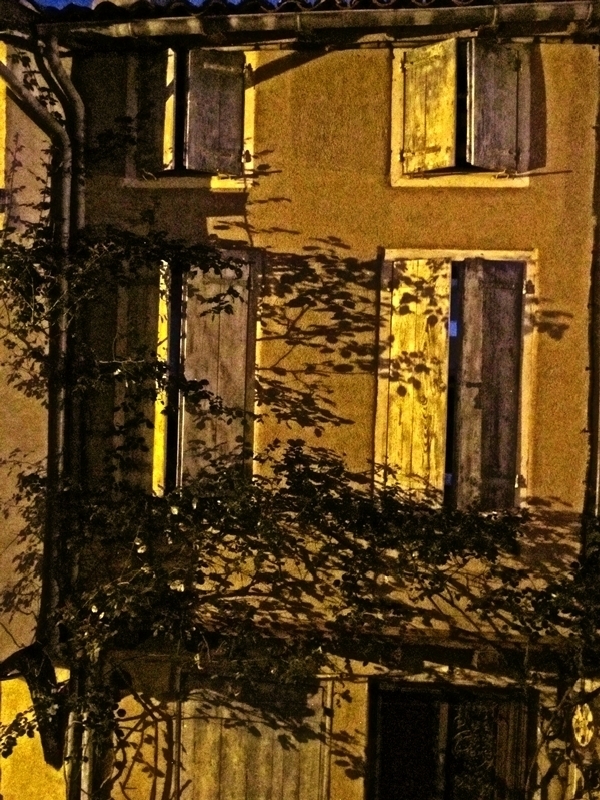 The evening light was lovely and the house was covered with interesting shadows. Maybe this would be one to paint. Here’s the original color photo. Instead, I decided to do something that I had never done before. I decided to see what I could do playing around with an image on my computer. There are many image-editing software programs that are available to us. Probably the most sophisticated is Photoshop. I tried it before and found the learning curve for me included much more time than I wanted to give. I am a painter. But I do have an easy-to-use image editing software program called Perfect Photo Suite 8. I use it to re-size my painting images for use on the web. So I took that photo that I had taken at dusk and decided that it had possibilities. It had shuttered windows, was three stories and had interesting architecture. Here is the photo after I translated it into something that I thought could possibly pass for a painting. What do you think? Have you ever tried something like this? 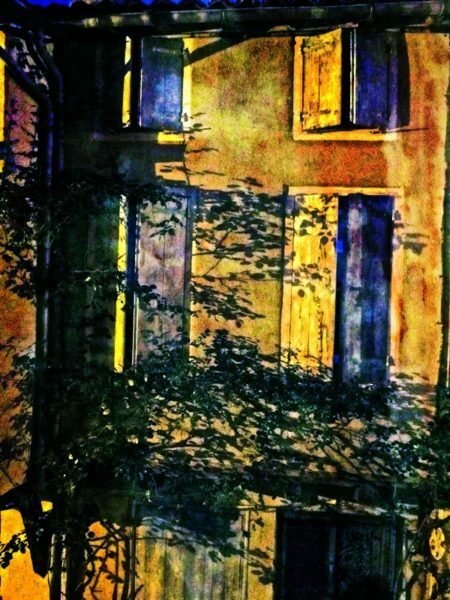 This entry was posted in Photography and tagged creative transition, image editor, photography, Sorèze France, southwestern France on April 24, 2016 by Ann Hart Marquis. Shadow & Light Magazine is designed for photographers across all levels of photography offering valuable information about a range of photographic subjects including portfolios, and individual images, along with interviews and in-depth essays. It is also designed for the photographer who desires to present their work to a large audience, including curators, collectors, gallerists, and photography peers and professionals. It is also designed to be appealing to all art lovers. The magazine was launched in September, 2014. It is flourishing and I am proud to be a part of its success. As art director, my main responsibilities are selecting the cover image, helping the editor with the selection of Showcase Portfolio and Single Image Showcase submissions. I also assist with editing. 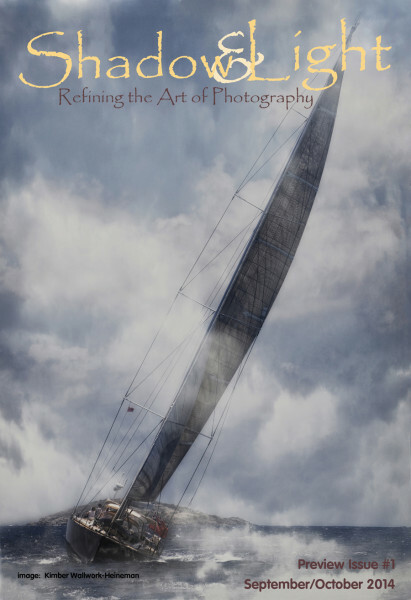 Because the publisher and editor of the magazine is my partner Tim Anderson, I have learned to appreciate photography as a fine art that can be just as expressive as painting. I have had the pleasure of viewing many wonderful images over the last ten years. An entire world of creativity has opened up for me, influencing my art in ways that are still a mystery to me. This entry was posted in Photography and tagged fine art photography, photography, photography magazine, Shadow & Light Magazine, Tim Anderson on January 11, 2015 by Ann Hart Marquis. 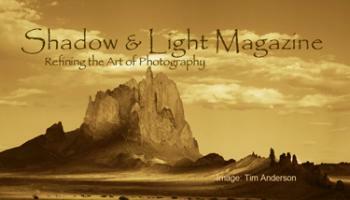 I have been a professional photographer for more than 40 years, and a fine art photographer for almost 15 years. Several months ago, however, I had decided to not do any more fine art photography. It just became too much of an effort to arrange for a model, scout and pick a location, schedule a time to shoot, and then spend even more time post-processing. I felt that I had quite a lot of work archived that I really hadn’t done anything with, and that when the time came I could do something with those. Well, that time came only a few months after I had decided to take that break, mentioned above. I was in the middle of what I will call a “you-turn.” This is a point at which you may run up against a wall in your creative pursuits, and feel there is nowhere else to go. The tide was ebbing. My you-turn came late in the evening one day as I was making the rounds of the house, turning off lights, etc. I was walking past the dining room, and took a peek out there to make sure the outside door was locked. I only needed that one image projected on the wall to light a fire under my semi-extinguished creative spirit. Since that night I have created two completely different new series, “French Noir” (below) and “Shadow and Light,” (above) which are both driving me to new adventures in post-processing as well as being able to enable me to view some of my long-forgotten photos in a new creative light. Just when I thought I was creatively blocked I was offered an opportunity. Has that situation ever presented itself to you? If so, just take a slow look around and you may discover all the inspiration you need to make your own you-turn. 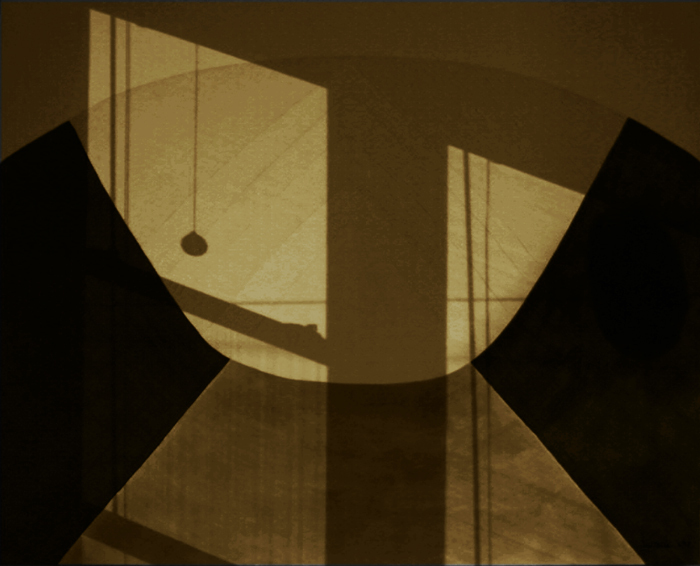 This entry was posted in Metaphor and tagged french noir, light, photography, shadow, Tim Anderson, u-turn on November 30, 2014 by Ann Hart Marquis. Since I have been painting, I have taken many photographs of interesting places, trees, objects, animals and people that I thought perhaps I would paint someday. I am still learning that not all lovely photos will make a lovely painting. Perhaps there is a color adjustment that needs to be made or a major section of the photo that needs to be cropped. Or the composition is not quite right. And sometimes a photo just doesn’t translate well into a painting. You can’t always go from photograph to painting. I had that experience recently in France. I started a painting of a landscape that I had admired and then photographed and then sketched. I spent a great deal of time working on and finishing the painting. It was the last painting that I did in France and I was in somewhat of a rush to finish it. It is never a good idea to paint under pressure—neither from oneself or from an outside source. 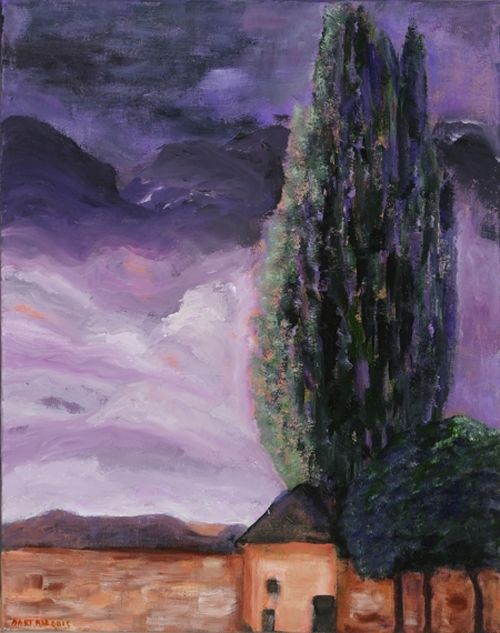 After returning to New Mexico and getting my head and body all back in this time zone and getting the painting stretched, I realized that the painting that I had thought finished was anything but. Actually, in many areas it was rather bad. So since I consider painting to be a problem solving experience for me, I looked at it until I saw some glaring misuse of paint and I then eventually realized what it needed. I wish that I could say that repainting part or even most of a painting was a new experience for me. It isn’t. I usually know that something needs to be fixed, but it sometimes takes me a while to see the problem. I also know that I will be having this experience again. It is all about problem solving. Have you ever had to redo a creative project that you thought was finished? 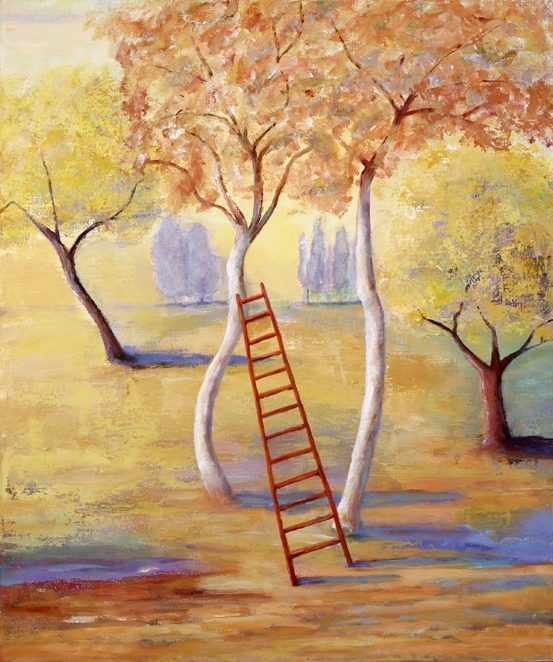 This entry was posted in Art, Painting and tagged French painting, New Mexico painting, photography, problem solving on October 5, 2014 by Ann Hart Marquis. As an artist, I often question who I am as an artist. Am I a photographer? A printmaker? An encaustic artist? 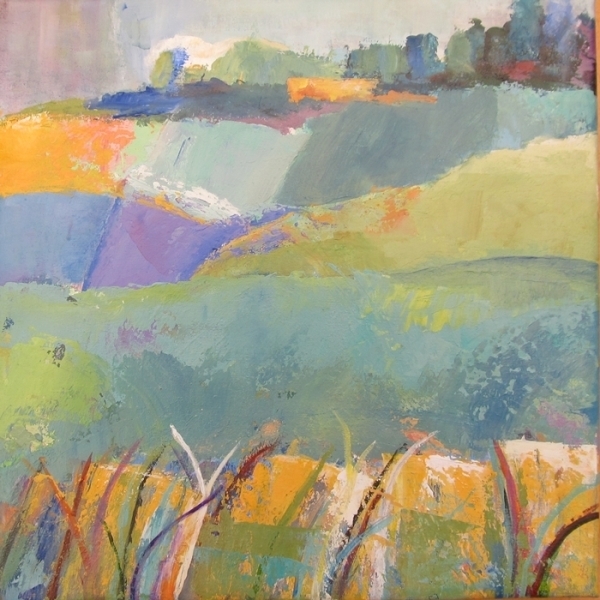 A painter or mixed-media artist? You see, I work in all of these mediums and have worked in photography the longest; hence it is my most prolific area. There are no clear lines or boundaries for me when it comes to working in these different mediums. How does one begin to combine them and perhaps more intriguing, WHY would you combine them? Curating and presentation of one’s work makes all the difference in the world; the choice made in the presentation can totally transform the piece. In the realm of photography, many have gone past the tradition of the glass and frame and now have so many ways in which to present their work. Even the kind of paper the image is printed on makes a huge difference. 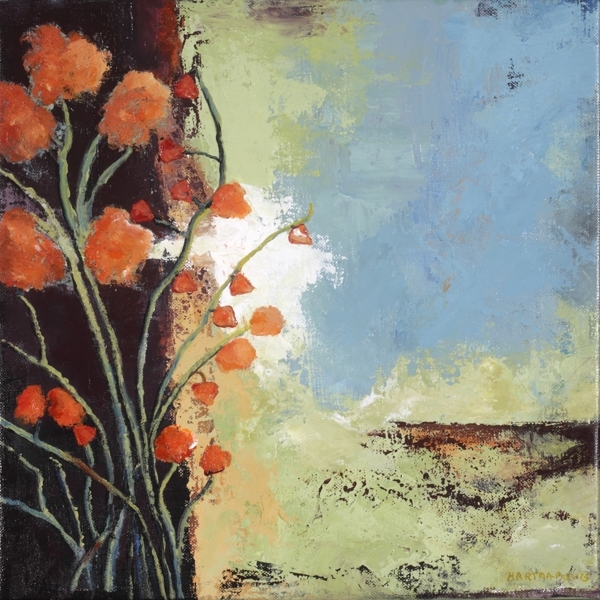 Photo encaustic offers a great alternative to the traditional presentation of photographic works. Encaustic, which is bee’s wax in most cases, combined with a bit of dammar resin (the combination is referred to as encaustic medium), brings a very different quality to a photographic image. The image becomes more luminous and seems to glow from within, giving it a different kind of depth. The kind of paper you use to print your photograph on in combination with the wax, also dictates the outcome. The best part about this marriage of photo and wax is that that the image is not restrained under glass. It brings another level of intimacy to the viewer. 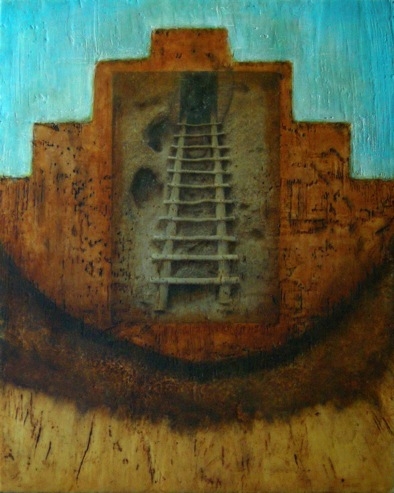 In this first example, “Bandelier,” the image was printed as a laserjet image, adhered via wax, to the board that was already ‘prepped’ with encaustic medium. Oil pigment was also used in many thin layers, which is another advantage to working in wax as it allows you to build up translucent layers adding even more depth to the final image. Think of it as glazing your photographic image. 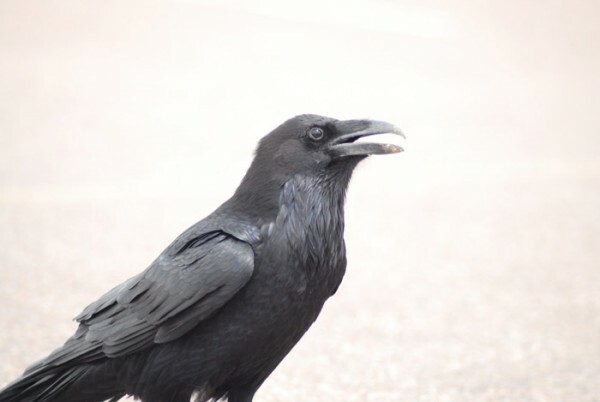 In “Raven Boy II,” the image was printed on a thin, handmade Japanese paper called chiri. Chiri means “leftovers” and refers to the small pieces of dark mulberry paper bark that are left in, or added to the paper vat. The image was mounted to a burned birch panel, a few thin layers of encaustic medium were applied and additional oil pigment was selectively added in areas to balance out the tone. You can see in the image what it looked like before adjustments were made and before it was printed. 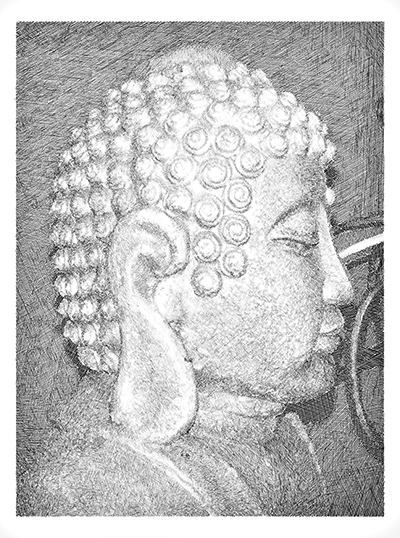 In the next image of the contemplative Buddha, there are a few more steps involved. 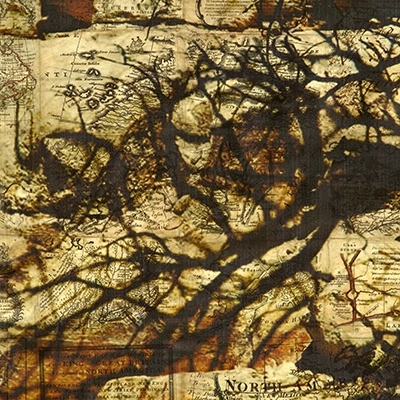 The background of the image is a photograph of a leafless shrub shadow printed onto scrapbook paper (which had the image of the ‘map’ on it). It was then adhered to a small cradleboard. 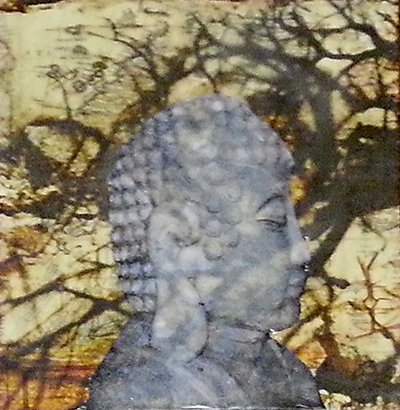 A few layers of encaustic medium were then applied and the next image, which is an inkjet print of Buddha’s profile, was trimmed and adhered with encaustic medium. The wax medium also makes the paper translucent, allowing the visual information underneath it to show through. It is an artistic choice. 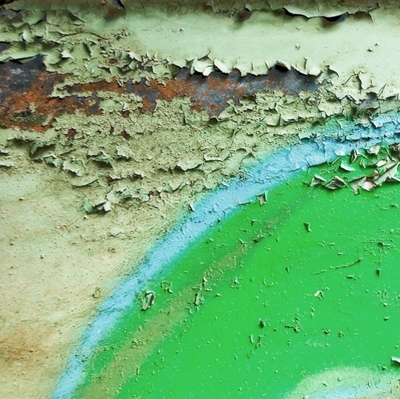 In the final example, “Blue Line,” it is a macro shot of a surface in the Albuquerque Railyard (a worn surface of peeling paint with the edge of some spray art). The image was taken so that there is no reference to what the image is, which is an abstraction of what many would see as mundane. 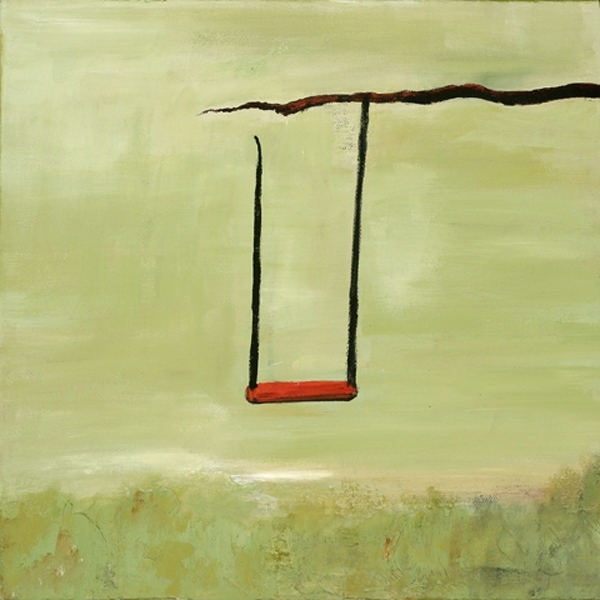 The example on the left is the image ‘as is.’ The one on the right is printed on watercolor paper, adhered to a small cradleboard and a few layers of encaustic medium is applied to the surface. My work is often about spontaneity, experimentation, exploration of color and textures; offering the viewer a different perspective of the ordinary. Being an artist who works in a handful of mediums, I love to capture what would be considered mundane, and with these moments, celebrate them. It is in these details of life that often go unnoticed that I see as the essence of living in the moment. 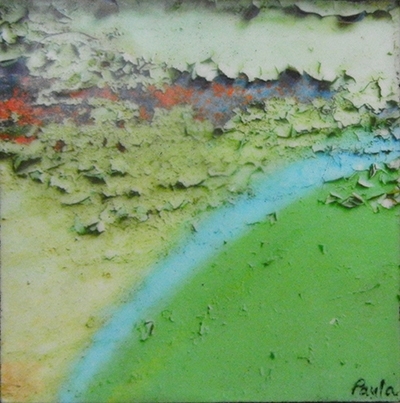 Combining mediums such as encaustic and photography offers me more ways in which to express this. 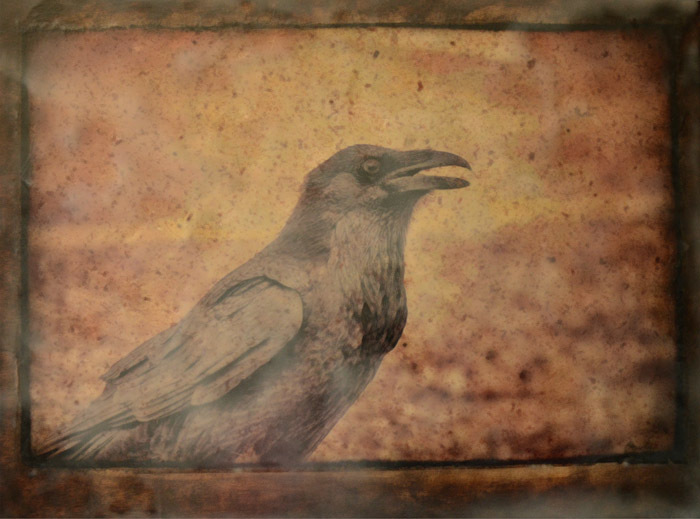 This entry was posted in Photography and tagged Albuquerque Railyards, encaustic, mixed media, Paula Scott, photo encaustic, photography, Raven Bay II on February 9, 2014 by Ann Hart Marquis. I love books. Growing up in Germany I enjoyed reading my parents’ Brockhaus, the multi-volume German encyclopedia. 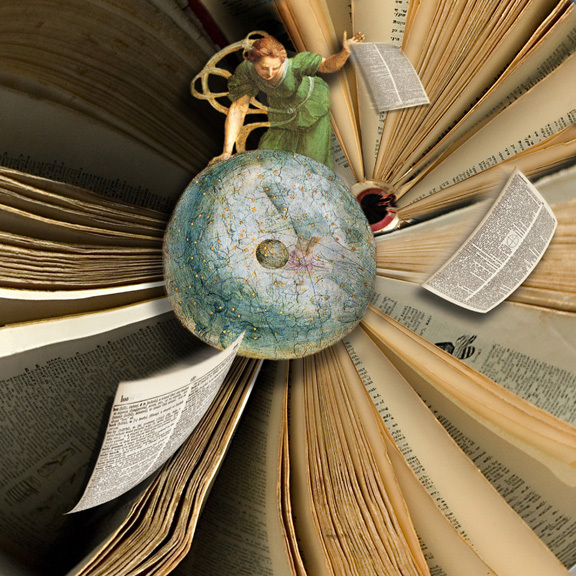 These volumes were similar to what Google is for us today, a source of endless discovery to stimulate the imagination. In my photography, which is all about storytelling, I combine my thoughts, fears, hopes and fantasies with the external world around me. 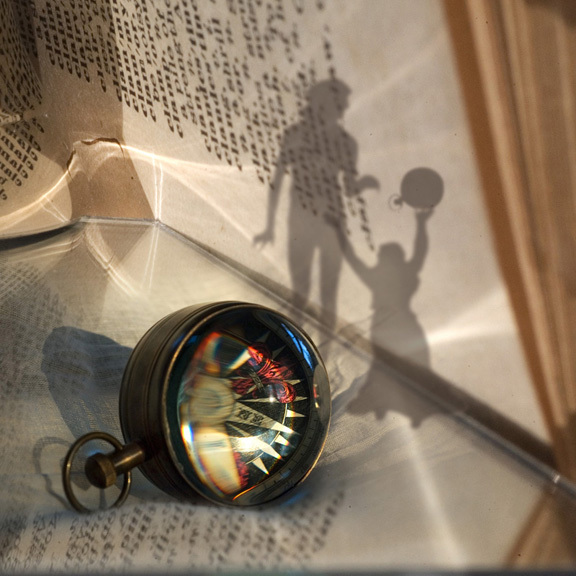 Books as visual objects and as a source of discovery—as well as words—have always been important to me and have informed my art. The transitional space between sleeping and waking serves as fertile ground to retrieve thoughts and emotions from the past, question the soul, and weave them into visual impressions and fragments of our material world. 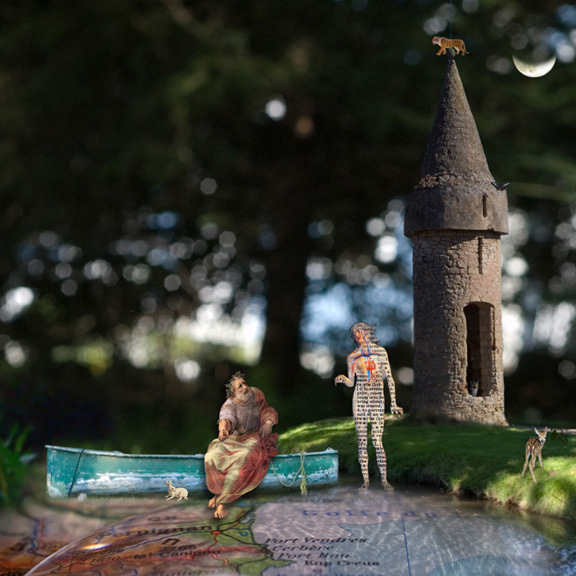 It is in this conceptual collage process that I unify these magical worlds to visualize my stories in photographs. Three artists who have most influenced my work and who incorporated dreamlike imagery, actual collage fragments and multi-faceted contemporary material are Max Ernst, Joseph Cornell and Robert Rauschenberg. I was first introduced to their work during my undergraduate studies in art history when I also studied drawing, painting and photography. From the outset, my camera was searching for staged scenes or theatrical set ups and found objects. Sun and daylight are my favorite sources of light as it best describes the tones in my color that I seek. My series of photographs Infinity & Dreams, which were published as a book under the same name, are inspired by the short stories of the great South American writer and poet Jorge Luis Borges. 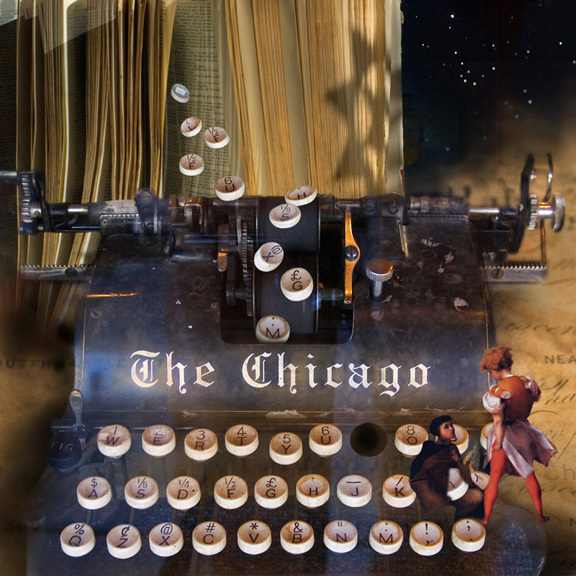 When I initially read his story, “The Book of Sand,” comprised in Collected Fictions, I interpreted the infinite book that Borges describes as analogous to the Internet which grows infinitely; where today’s first page is no longer tomorrow’s. In this series of photographs, I weave Borges’ narrative into my personal enigmatic imagery, riddles and universal symbols. I combine my fascination with Time with my interest in our present technological world. I explore a moment inspired by memory and fantasy. Each photograph represents a point on a continuum in time with the image titles and symbols often hinting at other dimensions along this path. 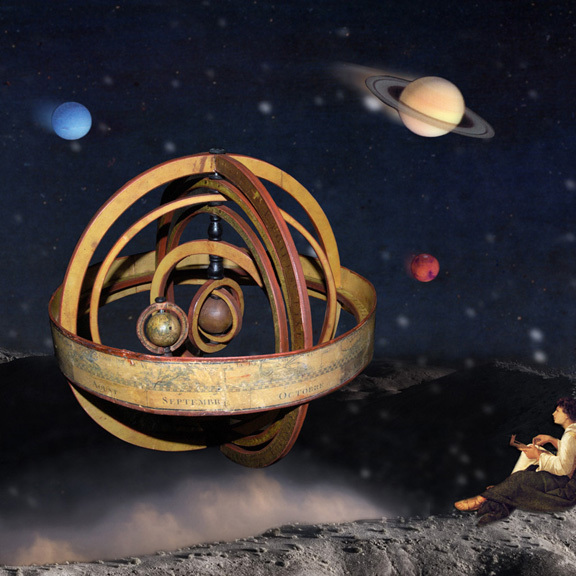 This entry was posted in Photography and tagged Dreamlike Imagery, Jorge Luis Borges, Joseph Cornell, Karin Hillmer, Max Ernst, photography on January 19, 2014 by Ann Hart Marquis.